CONFLIGHT (c. by Host). 4 wins to 1200m, S$295,603, Singapore 3YO Sprint, L, Singapore TC Novice S., Class 4 H., 2d Singapore TC Class 3 H., Initiation P., 3d Singapore TC Mexican Rose S.
Grand Symphony (c. by Glass Harmonium). Placed at 2 in 2017-18, 2d MRC Inglis 2YO Premier, RL. Rata Tat Tat (g. by Host). 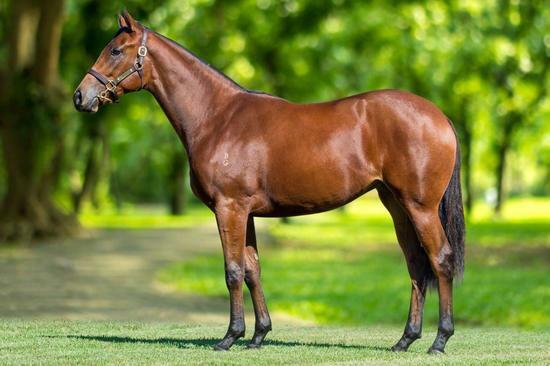 Winner at 2, 2d Cranbourne TC Inglis Vobis Gold 2YO P.
General G. 2 wins at 1200m, 1400m in Malaysia. Buckeye Nation. Winner at 1600m in 2016-17 in Aust. THURSDAY'S CHILD (Grosvenor). 4 wins from 1400m to 2000m, NZ$300, A$130,000, SAJC Stuart Crystal S., L, MVRC Beverage H., VRC Ken Cox H., 2d VATC Rupert Clarke H., EH (Ted) Williams H., 3d Ipswich Cup, Gr.3, VATC Riva Diva H. Producer. HAPPY ZERO (Danzero). 8 wins to 1400m, A$130,500, S$92,250, HK$12,816,250, HKJC Queen's Silver Jubilee Cup, L, Cathay Pacific International Sprint Trial, L, Sha Tin Sprint Trophy, L, 2d Cathay Pacific Hong Kong Mile, Gr.1, 3d BRC Stradbroke H., Gr.1, Singapore TC Krisflyer International Sprint, Gr.1. DODGING BULLETS (Dash for Cash). 7 wins from 1200m to 2050m, A$520,200, to 2017-18, Bendigo JC Golden Mile, L, Kyneton Cup, MRC Swettenham Stud Championship Final H., MVRC MSC Signs H., VRC Brian Beattie H., 4th VRC Sofitel H., L.
COSSACK WARRIOR (Bletchingly). 7 wins-1 at 2-from 1200m to 2400m, A$305,130, VATC TS Carlyon Cup, Gr.2, Herbert Power H., Gr.2, SAJC Angus Tyson Trophy H., Craftsman H., VATC Tooronga H., Heroic H., 2d MVRC Alister Clark S., Gr.2, VATC St George S., Gr.2, VRC Blamey S., Gr.2, 3d VATC Caulfield Cup, Gr.1, Memsie S., Gr.2, VRC Blamey S., Gr.2. Sire. COSSACK PRINCE (Sir Tristram). Joint second on The 1983-84 Australasian 4YO+ Classification (2100m+). 5 wins-2 at 2-from 1200m to 1750m, A$258,200, STC Peter Pan S., Gr.2, Hill S., Gr.2, VATC Sandown Guineas, Gr.2, 2d VATC Caulfield Cup, Gr.1, Victoria Derby, Gr.1, VATC Underwood S., Gr.1, Caulfield S., Gr.1, VRC Sires' Produce S., Gr.1, QTC Sires' Produce S., Gr.2, Castlemaine S.H., Gr.2, 3d VATC Caulfield Guineas, Gr.1, AJC Spring Champion S., Gr.1. Sire.